I remember sitting in class when someone called in a bomb threat. It turns out Santa robbed Bank of America at the same time. I will always remember how crazy emotion bowl was every year. I remember our junior year we won the emotion bowl and the goal post got torn down. Sonya Anderson changed profile picture. Sonya Anderson has a birthday today. 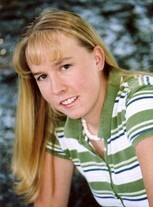 Sonya Anderson updated profile. View. Sonya Anderson added a photo to profile gallery. Sonya Anderson changed "Now" picture. Sonya Anderson changed "Then" picture.